Edmund Dana Barbour, the youngest of six children of Oliver Barbour and Mary Hutchinson, was born on 11 August 1841, at Henchman Lane, in the North End of Boston. 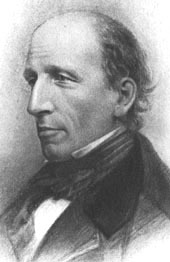 Edmund's father, Oliver H. Barbour (12 August 1796–4 December 1866), a tailor by occupation, was a heir (7th generation) of the glorious family of Capt. George Barbour (1615-1685), the Puritan leader of Dedham and Medfield, who came to America in 1630s, was a selectman and town clerk, Deputy to the General Court, and chief military officer of his district. On 25 December 1821, Oliver Barbour married in Boston to Mary Hutchinson (25 December 1800 - 1 September 1857), daughter of Henry Hutchinson (1763-1833), sail maker in Boston, and Susannah (Leach) Hutchinson (1765-1807). The family had 6 children - Mary Elisabeth, Susannah Leach, Henry, Mary, Mary Angeline and Edmund. Edmund Barbour was educated in the public schools of Boston, and while a youth came under notice and entered the employ of the distinguished Boston railroad magnate and merchant, John Murray Forbes (1813-1898), see the nearby image. In 1862, during the Civil War, Forbes, who was a very active and influential abolitionist, recommended young Barbour to be used as a wartime messenger as "a young man who got things done". Through the influence of Forbes Barbour secured in 1863 a position in the firm of Russel & Co.
Russel & Co was an eminent and prosperous Asiatic commercial house, established in China. Just as his patron John Forbes, who began his career spending 7 years in China, Edmund Barbour at once went to China, spending most of the next 8 years there, and his energy and abilities resulted in his admission as a partner in the firm in 1869. During his years in Asia, he travelled to India, and had numerous exciting and dangerous experiences, among them attacks by pirates and religious fanatics, escapes from the plague, and perils from rebellions and local uprisings (the lower photo pictures the office building of Russel & Co in Shanghai, where Barbour served). 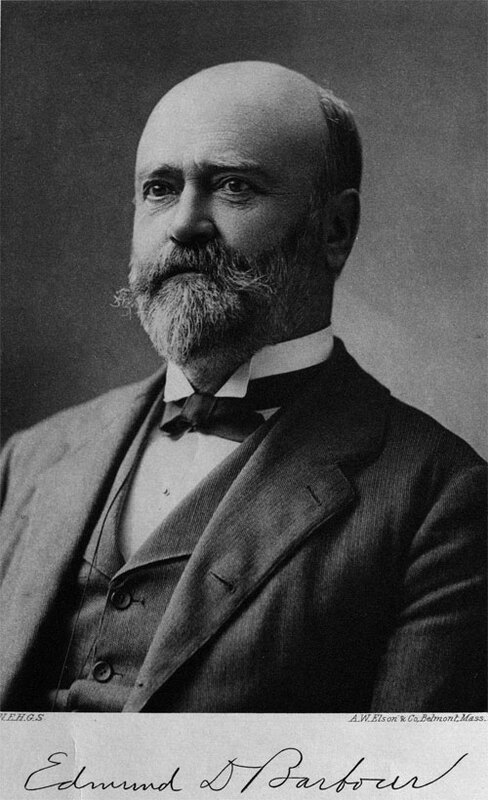 Barbour returned to Boston in 1871 and soon became connected with the large financial operations and railroad business of Forbes. In the early 1870s Barbour devised and patented his remarkable calculating machines (see the calculating machines of Edmund Dana Barbour). Barbour continued with his successful acquisition of money until about 1895, having accumulated a fortune of over a million dollars. During the remaining 30 years of his life he continued with shrewd investing and his estate was nearly trebled before his death. Barbour had a large estate in Sharon, Mass., with a dwelling house of Chinese design and large and valuable collection of Chinese works of art, which unfortunately were burned in 1882. Barbour loved to travel and he made 3 trips around the world and a score of visits to Europe. On retiring from active business in 1895 Barbour made an extensive research on the genealogy of Barbour and Hutchinson families and wrote a huge manuscript and many genealogical charts. He entered also the New England Historic Genealogical Society. Barbour's greatest pleasure in later years came in helping those in need. Many young men and women are indebted to him for financial help in securing their education. He financed also a great number of charitable philanthropies, promoted temperance legislation, helped discharged prisoners. He devised almost whole of his huge property (on a rough estimate of three million dollars, a huge sum for the time) to several Boston Universities like Harvard College, MIT and Radcliffe (Barbour's daughter Mary Ella studied in Radcliffe 1894-1897). Edmund Barbour married in Boston, 23 August 1867, to Mary Therese Ross (born in Lyme, N. H., 11 January 1841, died in Boston 11 December 1897), daughter of Samuel Elkins and Ruth (Hews) Ross. The family had 4 children, but unfortunately only one of them survived childhood—Mary Ella (1870-1954). The only son, Edmund Forbes (1868-1869), and 2 other daughters Ethel (1881-1884) and Edith (1872-1874) died young. Edmund Dana Barbour was an extremely positive, kind-hearted and magnetic man with a handsome, vigorous physique and remarkable strong mental powers. 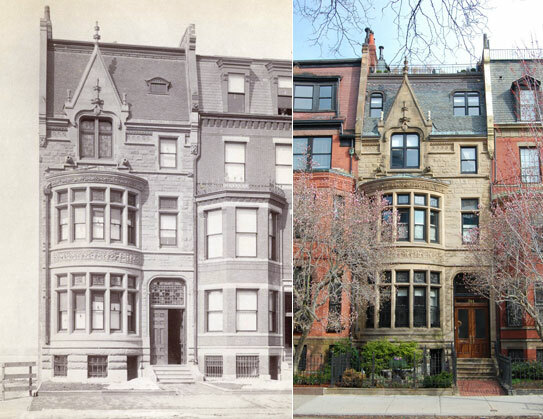 In 1920 serious heart weakness rapidly developed, resulting in his death at his home in Boston, 344 Beacon Street (see the house of Barbour in the lower images), on 5 March 1925. The house of Edmund Barbour in Boston, 344 Beacon Street. The house was acquired by Barbour in 1894, and he continued to live there until his death in 1925. The left photo is the house in early 1880s, shortly after its opening, the right photo is the house (still preserved) in 2014.